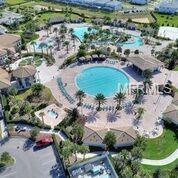 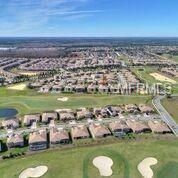 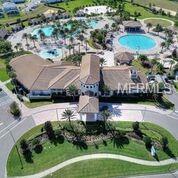 Welcome to the Championsgate golf community of Stoneybrook South. 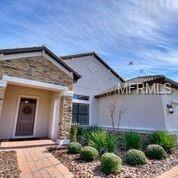 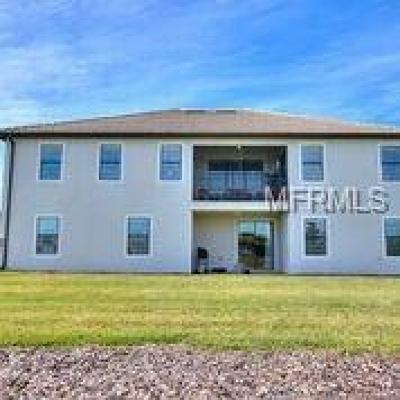 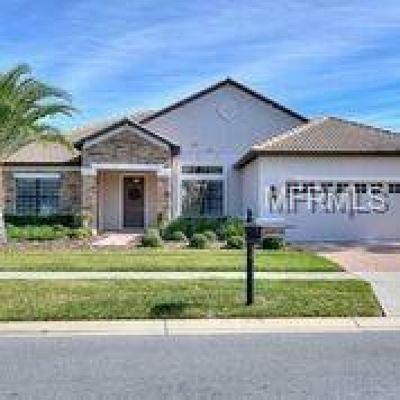 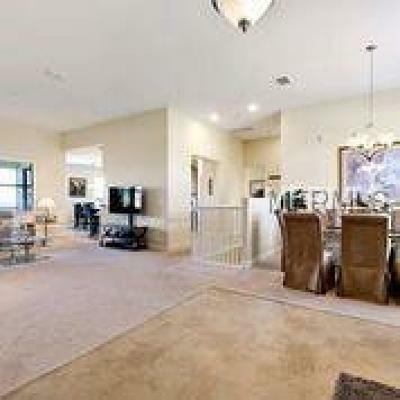 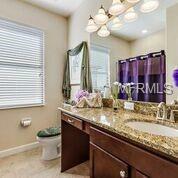 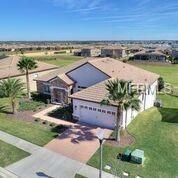 This large two story home features 5 bedrooms and 3 full bathrooms. 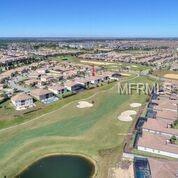 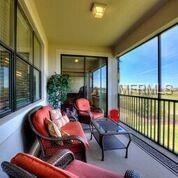 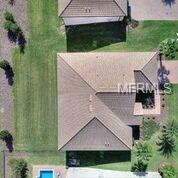 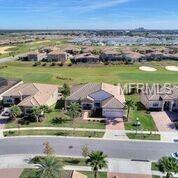 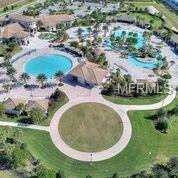 It is located on the fairway with no rear neighbors so you can be "on" the golf course at anytime. 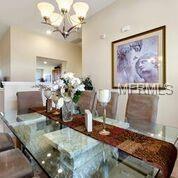 This is the unique Lennar model home The Alexandria boasting 4846 square feet of living space. 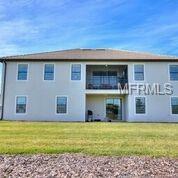 It has two stories with the bottom floor nestled in the hill overlooking the golf course. 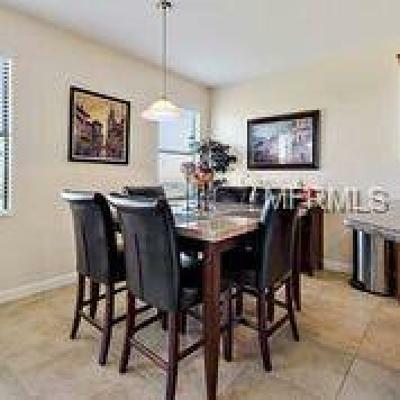 Downstairs features a grand recreation room perfect for families and two large bedrooms with a breakfast nook and kitchen. 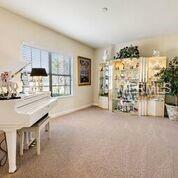 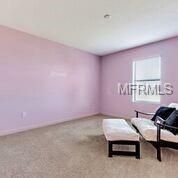 This is perfect for a mother-in-law suite. 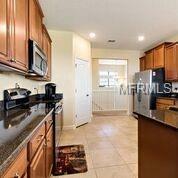 Upstairs there are the other 3 bedrooms including the master and full kitchen. 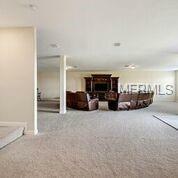 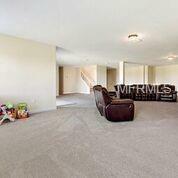 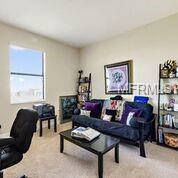 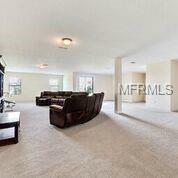 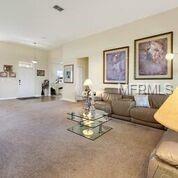 The front family room is also perfect for a den or home office. 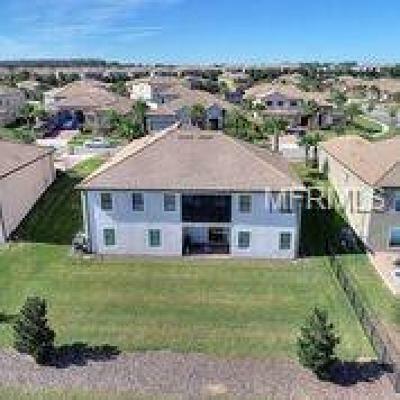 All of the details are here in this home including stainless steel appliances quartz granite counter tops throughout the entire home large maple cabinets upgraded blinds and polished nickel fixtures throughout the home. 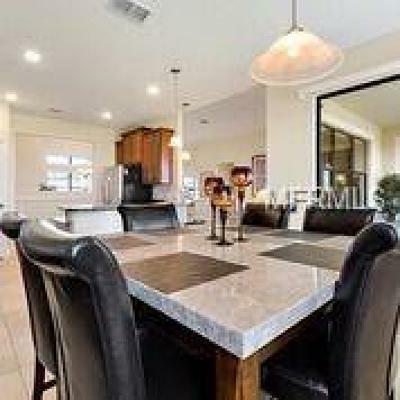 Enjoy the extended screened in back porch which connects to the kitchen and master bedroom. 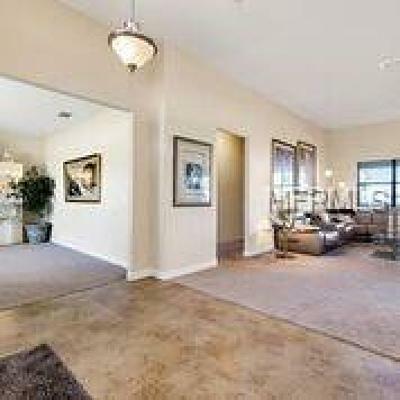 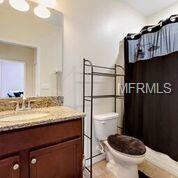 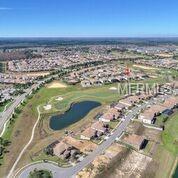 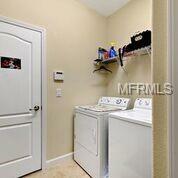 This community is close to all major roads including I4 192 HWY 27 and Toll Road 429. 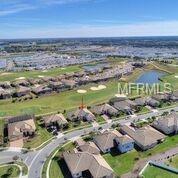 Only 15 minutes from theme parks. 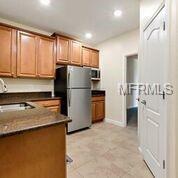 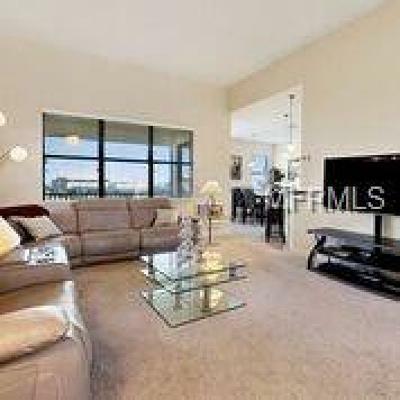 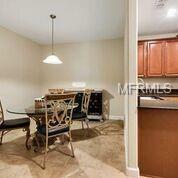 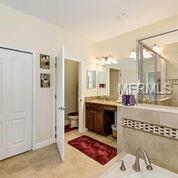 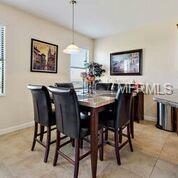 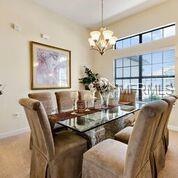 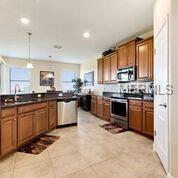 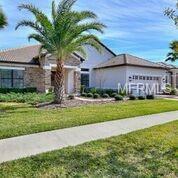 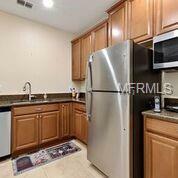 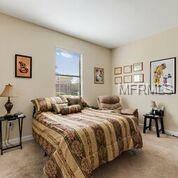 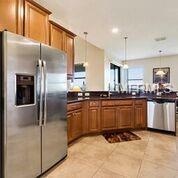 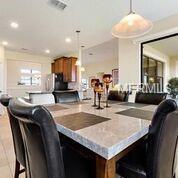 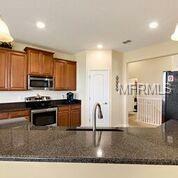 Plenty of shopping and dining minutes away. 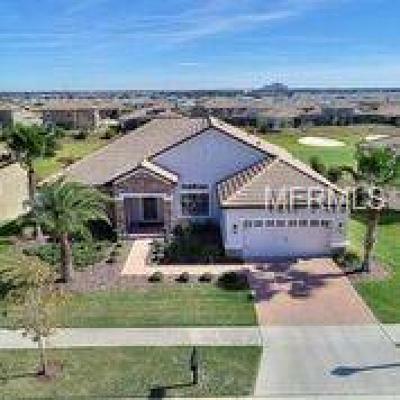 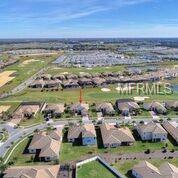 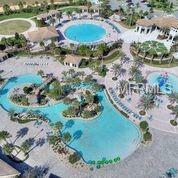 This highly sought after gated luxury resort style community features numerous amenities: lazy river pool spa tennis basketball golf fitness center on site concierge water slides water falls movie theatre tiki bar restaurant and more! All amenities are included in the HOA. 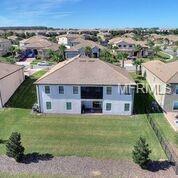 Pet Restrictions: Buyer's agent to verify HOA pet restrictions and lease restrictions.